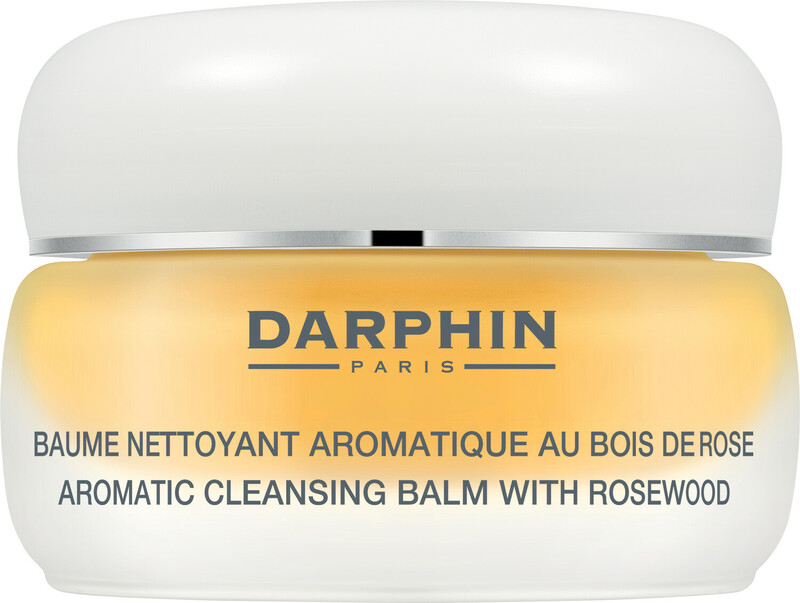 A complete cleansing treatment for all skin types Darphin Aromatic Cleansing Balm with Rosewood is a blissful, purifying at home spa experience! This divine balm with Marula Oil, Sage, Ylang Ylang and Rosewood Essential Oils, eliminates impurities, nourishes and softens. Like magic the balm transforms water into a silky, non-oily milk to leave your skin super clean, smooth, supple and radiant. - Skin-free from the feeling of tightness. 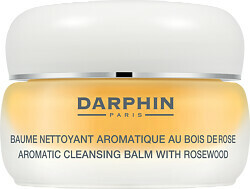 Darphin Aromatic Cleansing Balm 40ml is rated 3.0 out of 5 by 2. Rated 3 out of 5 by Fiona61 from A pricey disapointment I have wanted to purchase this cleansing balm for a while now. I have other items from the Darphin range and although quite expensive, have found them to be lovely products, made with quality ingredients. This balm has been recommended in magazines quite a lot and I like the idea of cleansing balms. The jar is attractive and made of glass. The scent of the balm is very pleasing. The consistency is quite hard, but not surprising given its a balm. This is where the product was disappointing in my view: Applying the product to a wet face as instructed, the product was quite hard to disperse evenly over the face given its texture. It turns milky once applied and water mixes with it. When rinsing my face, I felt the balm had not been rinsed off properly and even after further rinsing with a muslin cloth, my face felt as if there was still a film of the balm on my skin. Given this is a cleanser, this did not make me feel my skin was fully cleansed in a good way and this was disappointing. This is a pricey product, and I was hoping it would live up to its press, however unfortunately it's application.and rinsing effectiveness was disappointing. I have the body shop's Chamomile cleansing balm which is a 3rd other price is more effective and pleasing to use. No doubt this cleansing balm has good ingredients and a pleasing scent but sadly it's waxiness makes its effectiveness disappointing. Rated 3 out of 5 by EmmaV from Nice product but barely effective on very dry skin I was very enthusiastic about this purchase after reading all the 5-star comments. Unfortunately, this really lovely-smell-and-texture balm didn't do much for my very dry skin. It actually more of got me a red skin on cheeks, eventhough my skin is not sensitive. The only advice is - try before you buy, otherwise a lot of money will be waisted.